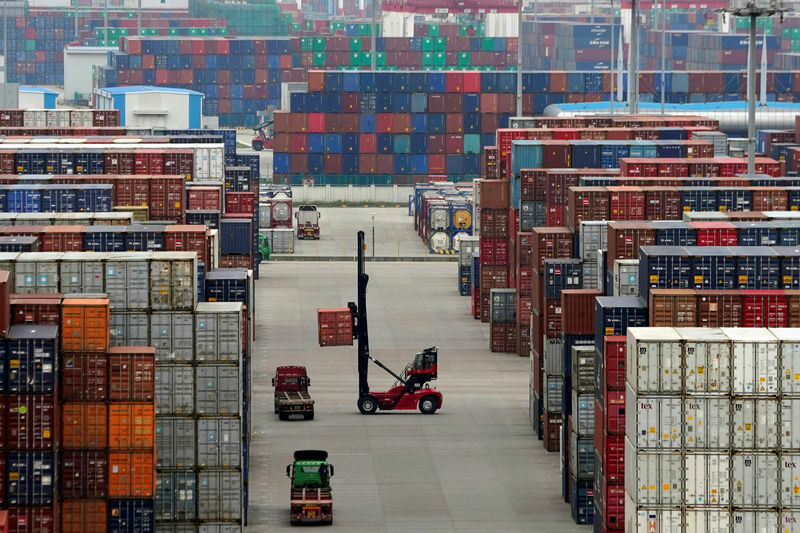 BEIJING/WASHINGTON (Reuters) – China urged the United States on Thursday to make a “wise choice” on trade, saying it was ready to respond in case Washington chose confrontation, as U.S. President Donald Trump prepares to decide whether to impose tariffs on Chinese goods. Trump is due to unveil revisions to his initial tariff list targeting $50 billion of Chinese goods on Friday. People familiar with the revisions said the list would be slightly smaller than the original, with some goods removed and others added, particularly in the technology sector. Speaking to reporters in Beijing, with U.S. Secretary of State Mike Pompeo at his side, the Chinese government’s top diplomat, State Councillor Wang Yi, said there were two choices when it came to the trade issue. Wang said a basic consensus reached by the two countries during the recent talks was a pact to use “constructive means” to handle disagreements. “We hope the U.S. side can meet China halfway and earnestly implement this important consensus, and promote the appropriate resolution of the relevant issue through a win-win and not lose-lose manner,” he said. Pompeo said the U.S. deficit with China was still too high, but that they had had good talks. “I stressed how important it is for President Trump to rectify that situation so that trade becomes more balanced, more reciprocal and more fair, with the opportunity to have American workers be treated fairly. We had good and constructive discussions,” he said. “President Trump asked me to send his regards. I have watched your interactions. He truly values the relationship personally between the two of you and the relationship between our two countries,” Pompeo said. Xi told Pompeo he hoped that the United States could “cautiously and appropriately” handle sensitive issues like trade and self-ruled Taiwan – claimed by China as its own – to avoid “major disturbances” to Sino-U.S. ties, the Chinese Foreign Ministry said in a statement. Under the 1974 trade law that Trump invoked to pursue a tariff investigation into China’s intellectual property practices, he could delay the activation by 30 days. He can also delay the tariffs by another 180 days if the U.S. Trade Representative’s office finds negotiations with China are yielding progress. But that recommendation came prior to Trump’s trip late last week to Canada for the G7 leaders’ summit and to Singapore for talks with North Korean leader Kim Jong Un to defuse a nuclear standoff on the Korean peninsula. Trump returned to Washington early on Wednesday. In an interview aired on Wednesday, Trump told Fox News he was “very strongly clamping down on trade” with China.